Mostly sunny, with clouds moving in toward the end of the game. High 86. Slight wind blowing into home plate. Infield was dusty, but unlike in Game 9 the soil was packed-in due to rain several days prior. Any dust clouds that were formed drifted towards home plate, which was interesting to watch. Outfield grass had been cut. Sun made fielding a challenge, but was impossible to deal with in the 5th inning. Eventually, some clouds covered it up. - Tufts’ base running was far more aggressive in P1 than in Game 6. Perhaps a bit too aggressive. - The female batters hit multiple balls into the middle of the outfield. - Tufts had better coverage of shallow CF than they had in Game 6. 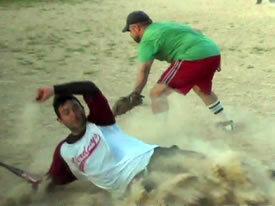 - Players were pumped-up for the game; perhaps too pumped for an amateur-level softball game. It ended-up exposing players to unnecessary stress. 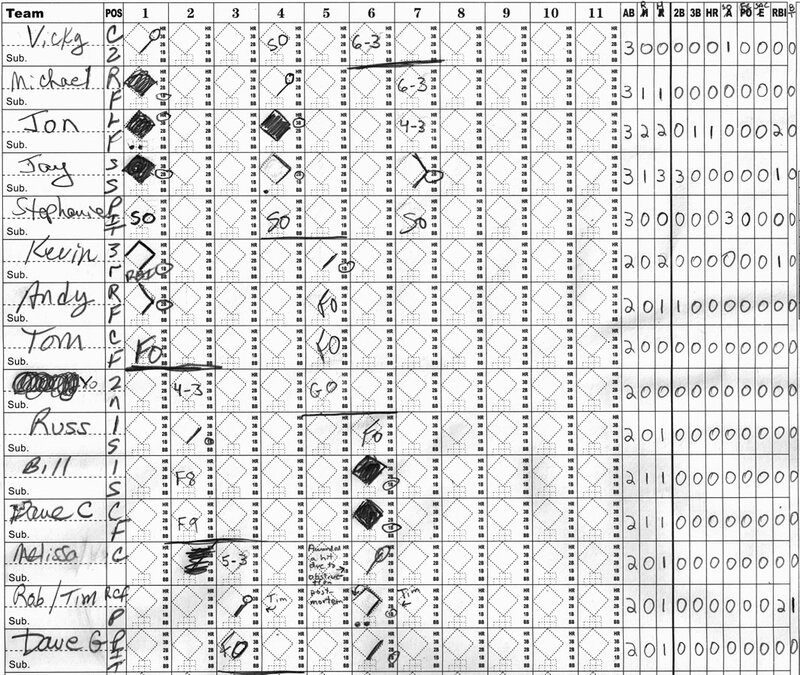 - The incident that occurred in the 1st inning, (refer to section below), sucked the energy out of the team, which caused them to not play with the same level of passion and mojo that they had at the start of the game. This observation is most reflected by the offense, which scored 3 runs in the 1st inning, but only 3 runs in the remaining 6 innings of play. - The egos for a few of our players were a distraction, and made game management a bit difficult. Should have done a better job keeping it in check. - In game 6, we played with just 9 fielders for most of the game and won. In this game, we positioned the 10th fielder behind the pitcher. Typically, you want a fielder here to be able to go after short hits made by weak hitters. However, Tufts does have any weak hitters, so you are better off having the 10th fielder playing in shallow CF or behind 2B. Andy Wolan is a reporter and photographer for Verdasys Softball. This story was not subject to the approval of the league or its clubs.